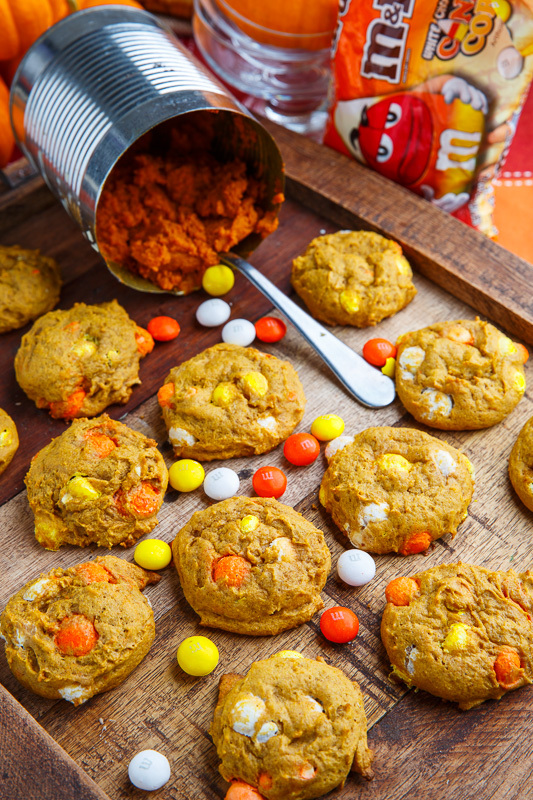 Soft and chewy pumpkin and spice white chocolate chip cookies! 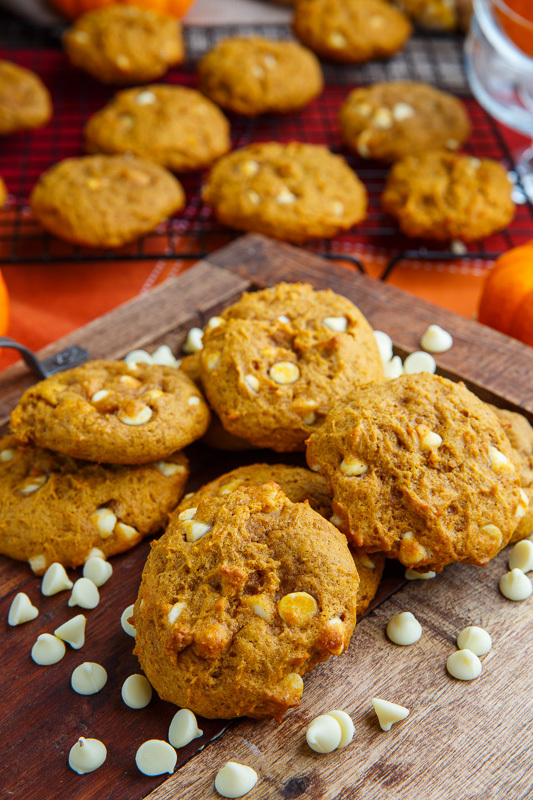 Pumpkin and white chocolate is an amazing flavour combination and I can’t help but think about using it in cookies like these pumpkin white chocolate chip cookies! 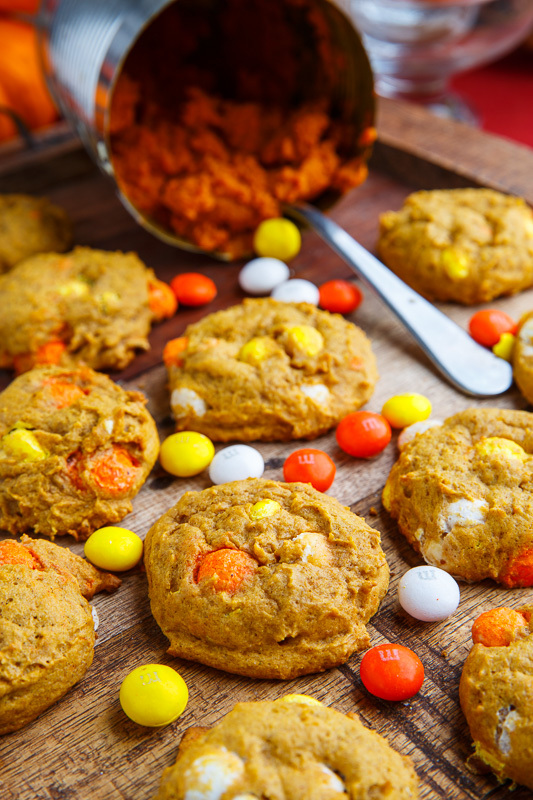 This is a pretty simple chocolate chip cookie recipe with the addition of pumpkin puree and the use of white chocolate chips! I like to add the classic pumpkin pie spices including cinnamon, ginger, cloves and nutmeg which also go well with the white chocolate. You can easily swap out the white chocolate chips for milk chocolate chips, dark chocolate chips, peanut butter chips, cinnamon chips, caramel chips, etc. 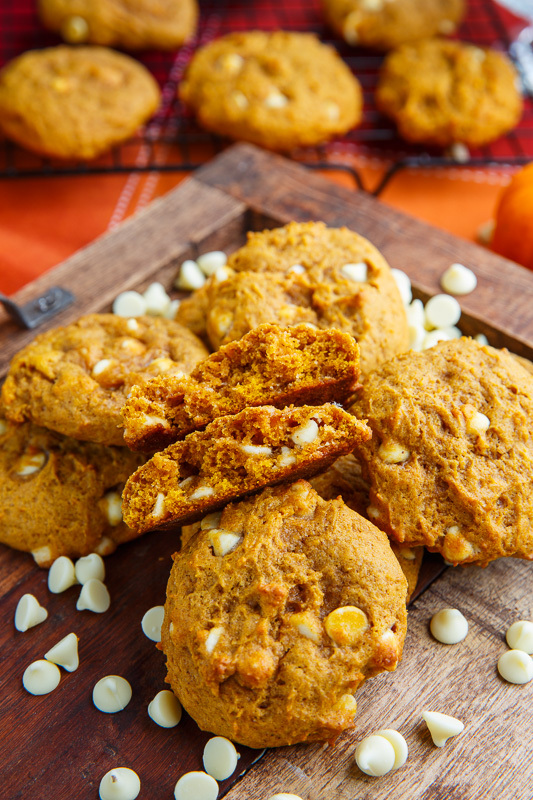 These pumpkin white chocolate chip cookies are perfect for the holidays! Cream the butter and sugars in a bowl before beating in the egg, vanilla extract and pumpkin puree. Roll the dough into 1-2 tablespoon balls, place them on a parchment paper lined cookie sheet about 2 inches apart from each other and bake in a preheated 350F/180C oven until just lightly golden brown around the edges, about 8-10 minutes. Option: Replace the white chocolate chips with dark or milk chocolate chips, cinnamon chips, butterscotch chips, etc. I made these for a dinner potluck and they turned out delicious, I kinda didn’t want to share! I followed the recipe exactly and would definitely make them again! Have you tried freezing some of the cookie dough? I’d love to find a way to make a batch but not have to bake them all at once, it makes too many cookies for my husband and I.